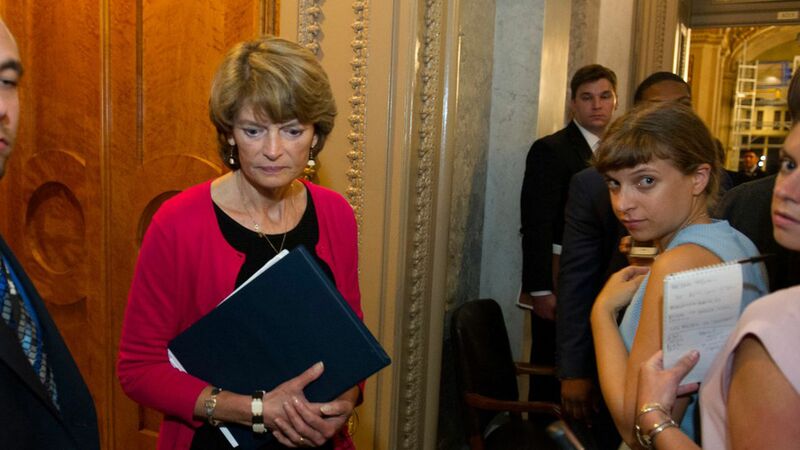 A new estimate obtained by Axios from the Centers for Medicare and Medicaid Services (CMS) projects that Alaska, home to key swing vote Sen. Lisa Murkowski, would lose 38% of federal funding for premium subsidies and Medicaid by 2026 under the Graham-Cassidy proposal. John McCain's home state of Arizona would also lose funding (-9% in 2026). Why it matters: Even though the CMS numbers are rosier than other estimates, they still show states like Alaska and Arizona would be worse off under Graham-Cassidy, making it that much harder to wrangle the votes needed to pass the last-gasp Republican plan. Other estimates: Ohio (-18% by 2026), West Virginia (-23%) and Colorado (-24%), all home to senators who are under pressure over health care, would also lose funding. Sen. Susan Collins' state of Maine would gain 44% by 2026. The latest: With moderate Republican Murkowski as potentially the crucial vote, Sens. Lindsey Graham and Bill Cassidy are reportedly considering three new Alaska-specific changes to the proposal to win her vote. These numbers won't help the sales pitch. Worth noting: It's unclear whether the estimate includes traditional Medicaid funding. Go deeper: The full estimates.